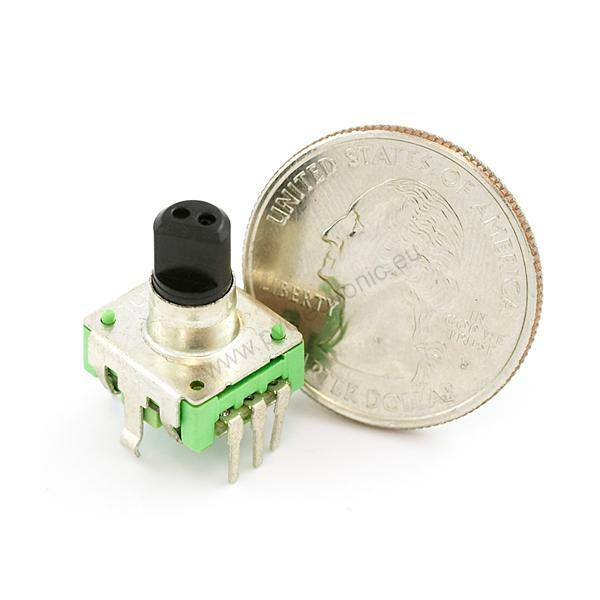 Description: This is a 12-step rotary encoder with a nice 'clicking' feel. It's breadboard friendly, and has a pretty handy select switch (by pushing in on the knob). 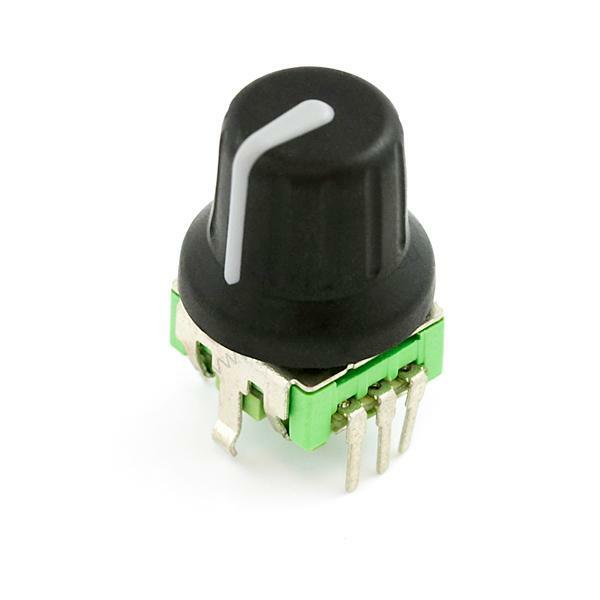 The encoder is different from a potentiometer in that an encoder has full rotation without limits. 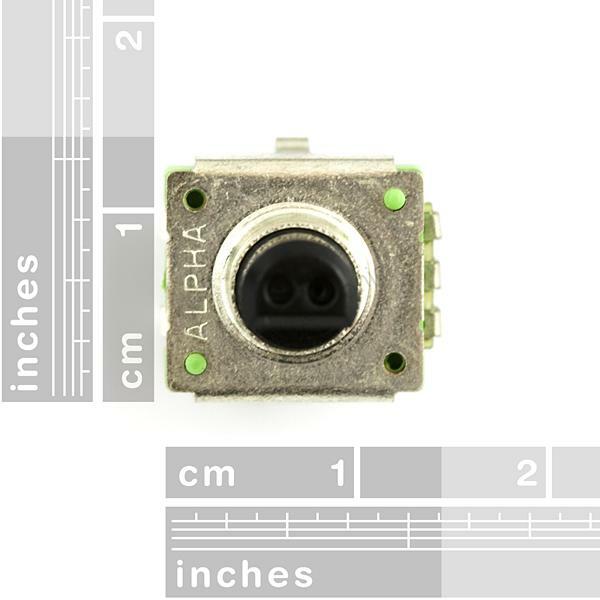 The unit outputs gray code so that you can tell how much and in which direction the encoder has been turned. 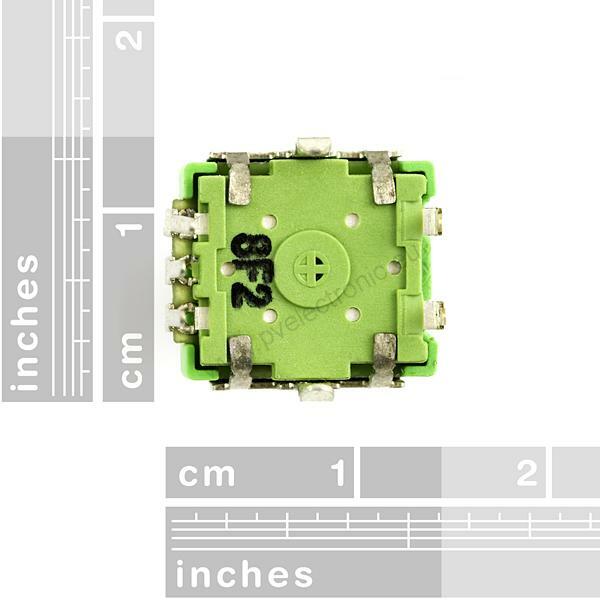 This unit does not come with a knob, but a working knob is related below.